A career like no other, in a city like no other. 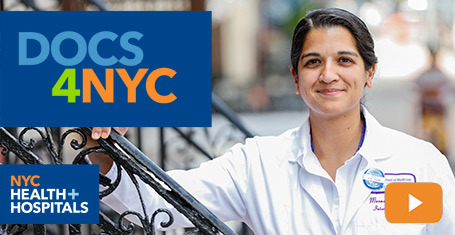 NYC Health + Hospitals is the largest public health care system in the nation, annually serving more than a million New Yorkers in more than 70 patient care locations across the city’s five boroughs. Our mission is to care for all, without exception. A robust network of outpatient, neighborhood-based primary and specialty care centers anchors care coordination with the health system’s trauma centers, nursing homes, post-acute care centers, home care agency, and MetroPlus health plan – all supported by 11 essential hospitals. Join our physician team or learn more about us. Advance our mission to care for all, without exception. Grow through exceptional leadership and development opportunities. Take advantage of loan forgiveness programs. The federal government provides student loan forgiveness through its Public Service Loan Forgiveness Program (PSLF) to all qualifying public service employees. Your employment at NYC Health + Hospitals may allow you to take advantage of this program if you meet the program’s requirements. Please visit the PSLF website for eligibility information: https://studentaid.ed.gov/sa/repay-loans/forgiveness-cancellation/public-service. Our Accountable Care Organization (ACO) is the only program in the state to achieve shared savings for four consecutive years. More than 30 of our primary care sites hold the highest-level Patient-Centered Medical Home (PCMH) recognition from the National Committee for Quality Assurance. Focused on population health and care management, our various Centers of Excellence provide specialized care for a wide range of health conditions, such as diabetes. NYC Health + Hospitals was the first public health care system in the U.S. to mandate LGBTQ training for all staff members in 2011. We have established two Pride Health Centers within our health system, and 22 of our patient care locations have earned the Human Rights Campaign Foundation’s designation, “Leader in LGBTQ Healthcare Equality”. Learn more about services for LGBTQ New Yorkers. 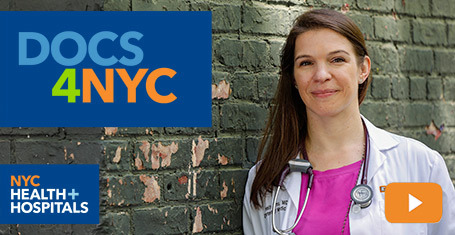 At NYC Health + Hospitals, our staff is our most valuable asset. From generous time-off to various retirement and pension plans, we offer an excellent benefits package to every member of our team. 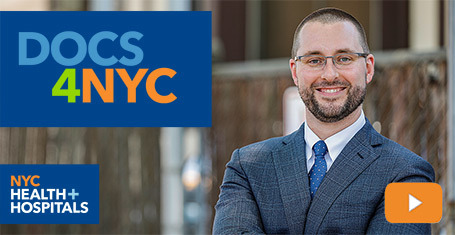 As a primary care doctor at NYC Health + Hospitals, you may qualify for loan forgiveness programs. Learn more about the National Health Service Corps (NHSC) Loan Repayment Program and the Doctors Across New York Physician Loan Repayment Program.